OMEGA's PX01 Series is a high accuracy, amplified voltage output, industrial pressure transducer. All stainless steel construction and a hermetically sealed case makes the PX01 suitable for harsh industrial environments. It is a true high accuracy industrial device. 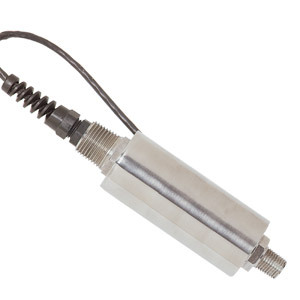 A broad temperature compensated range of 16 to 71°C (60-160°F) and excellent temperature compensation make this transducer very stable with fluctuating temperatures. The PX01 is available in gage, absolute or sealed models as well as PSI or metric ranges. NPT and 7/16-20 O-ring seal fittings are available for industrial and Hydraulic applications.